Smirnoff Ice with Guarana is great and tasty, but that is not the case with little babies, although they might enjoy drinking it, the results aren't always great. 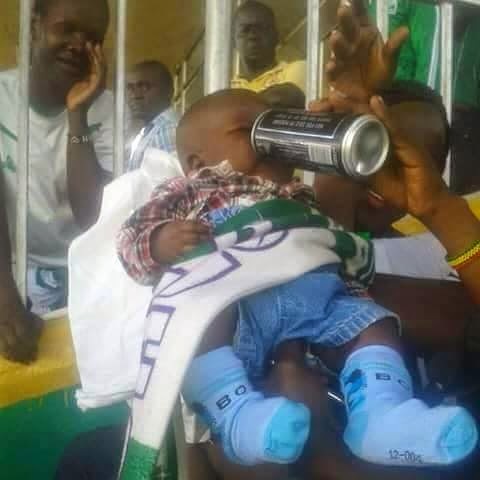 Take for instance this Gor Mahia fan who was spotted serving her child with Guarana during a recent Gor Mahia match. From the look, the baby didn't seem to enjoy the drink but didn't have a choice.